gobnobble -- the comic work of David Allan Duncan: Lettering! So I haven't quit working on the book, it's just not a particularly exciting part of the process (unless you really like hand-lettering - as I do). 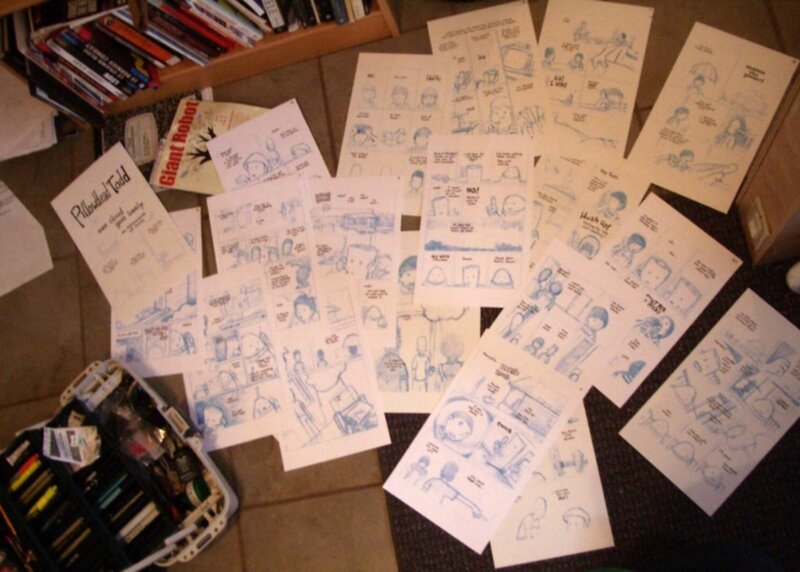 I have finished lettering the book (all 22 pages). I still have to ink the pages - at which point I will also do the word balloons and panel borders (jobs usually associated with the lettering stage). The trained eye will note the following: David is drawing his comic pages slightly smaller than the standard 11x17. The curtains featured in the studio are TMNT and The Real Ghostbusters. That's an adorable Tomy solar powered bobble-head. 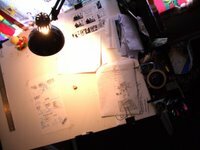 Although he keeps a copy of Wally Woods "22 Panels that Always Work" on his desk David rarely uses it. Kristie has been working super hard on her website (a fancy feat of Dreamweavership if ever there was one). It'll be done soon. 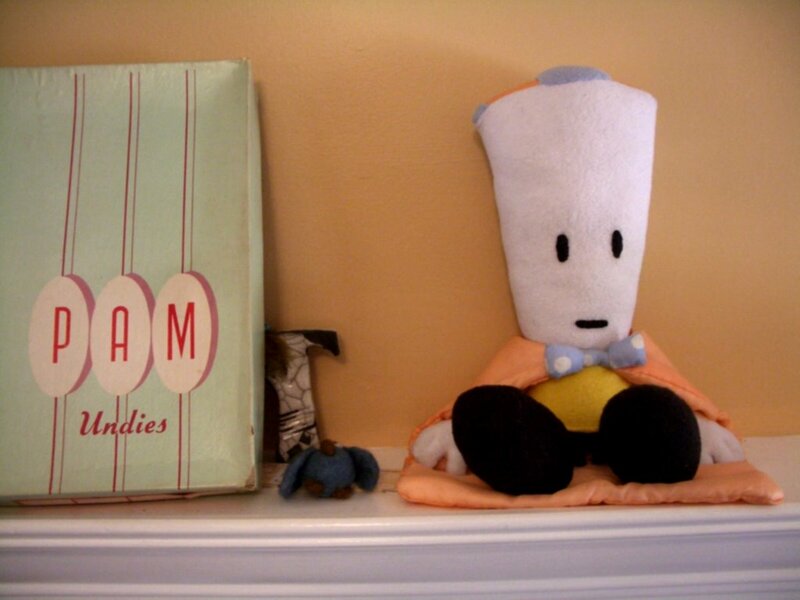 I'm also finally getting around to putting this picture of the official plush PillowHead up here. It's from Mr. Patrick in Tucson (not to be confused with San Fran Patrick). I will never be able to sew as good as this, ever. It's pretty fancy, indeed. Oh well, i'm glad to hear that it hasn't fallen apart yet. This is very good news. Wow, 22 pages lettering in one weekend... maybe you can tell me the secret of keep being motivated when working on pages. 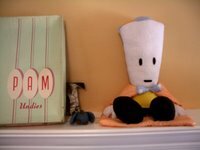 And nice PillowHead there... really cute. Motivation isn't easy to keep up. It's tough when you're tired, too. By the time I'm home from work, I just want to go to bed. These days my primary motivator is guilt. I feel like I should already have these pages finished and another story started.